The solution is simple disable all colors syntax, highlighting in the file manager Q-Dir! 1.) ... Disable all Colors in Q-Dir and highlighting! 2.) ... Help Q-Dir and highlighting or colorize the background of Tree View!? 1.) Disable all Colors in Q-Dir and highlighting! Via Menu , Extras, Colors & Design, Disable all color jokes! 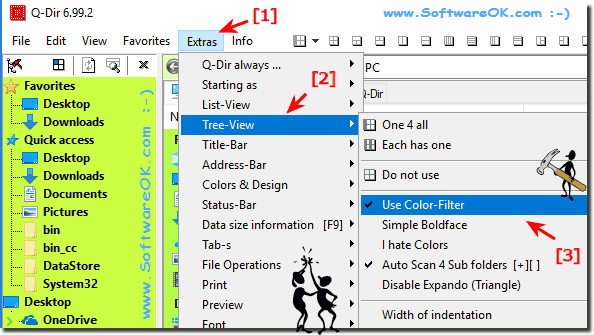 (Image-1) Disable all Colors Highlighting of files and folders in Explorer-View! 2.) Help Q-Dir and highlighting or colorize the background of Tree View!? Please always use the latest version of ... The Windows File-Manager Q-Dir! (Image-3) Q-Dir not possible to colorize the background of Tree View! 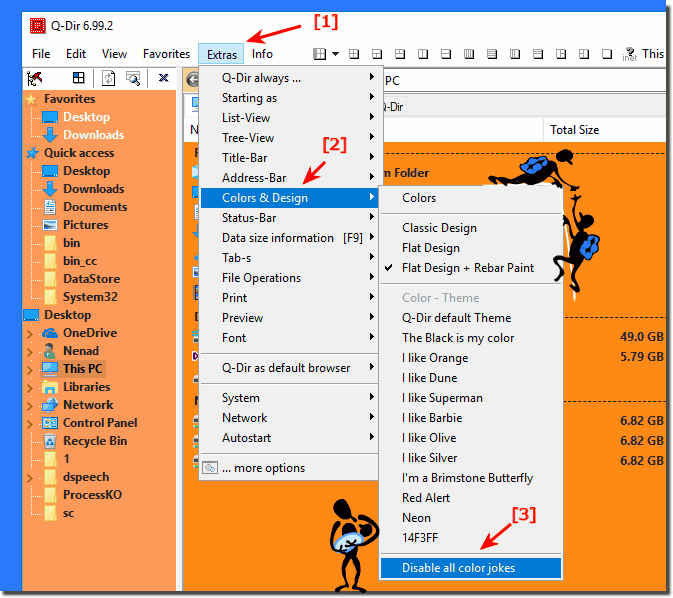 Q-DIR - FAQ-97: How to disable all Colors Highlighting of files and folders?